Imagine how after the attack on Charlie Hebdo, the French press stops mentioning Al Qaeda and Islamic State over fears. Sounds absurd, right? But such a thing is possible in Bulgaria. 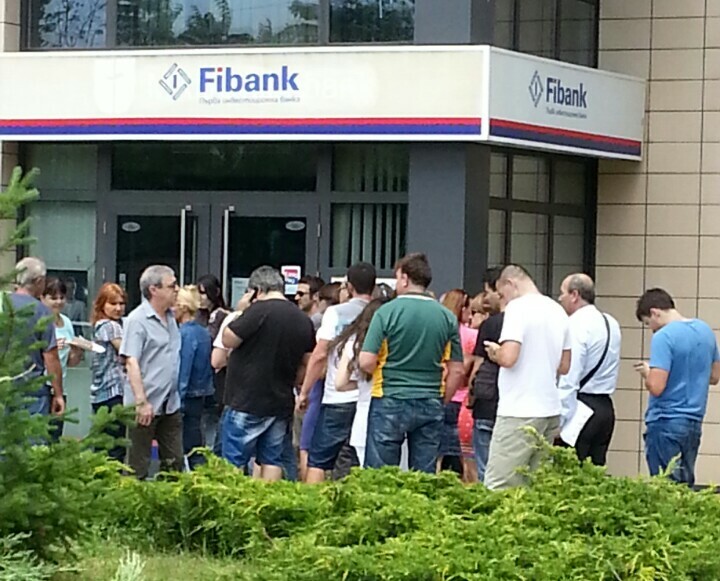 The huge fines of 100,000 levs that the Financial Supervision Commission (FSC) imposed on publisher Economedia and the Vratsa-based site Call News are grounded on their reporting of the situation with First Investment Bank (FIB). That bank would have been liquidated today if it wasn’t for the State aid; it would have joined its fellow “bad apple”, the collapsed Corporate Commercial Bank (CCB). But it is still there, and FSC is its institutional bully against media; the bully WHO, who transferred his loans to FIB. Alas, no one dares to make this into a headline and write it plainly. FSC is purposefully destroying media if they have written or are writing about FIB, not about CCB, but about FIB! The guild is resenting the fines. They are sending declarations. They are demanding the resignation of FSC Head Stoyan Mavrodiev. We are asking for it as well and we have asked for a long time. However, what a paradox – even indignant media organizations, even the protest network are not naming the root cause – FIB – in their statements! With few exceptions, FIB remains a taboo. Not for us! The formal complaint against Economedia has been submitted to FSC by the companies “Vodstroj-98” and “Industrial Construction – Holding”. The grounds – Capital daily and the online news agency Dnevnik have written on June 27, 2014 that these companies are related to shady lawmaker and media mogul Delian Peevski and have withdrawn as “under command” their money from FIB. Call News was attacked on the FSC’s self-initiative because it has asked the question “Is FIB going bankrupt?” in a very short article. However, the site Mediapool, against which a citation has been issued, is in the crosshairs over a complaint by FIB itself. The complaint against it is almost a copy-paste of the complaint against Economedia. Both media had written that Peevski’s companies were withdrawing as “under command” their money from FIB. This is not for the first time when this “bad apple”, as defined by former US Ambassador in Sofia, John Beyrle, is attacking media. Bivol was threatened by FIB in 2012 over the publication of the US diplomatic cable in which FIB is depicted as “as one in the murkier criminal realm”.The complaint to the central bank (Bulgarian National Bank, BNB) was signed by four banks – FIB, Investbank, Central Cooperative Bank and the late CCB. Can we bet whose initiative it was? And we are asking – against what collateral? Who will repay the money? Mavrodiev from FSC, who is bullying media? BNB Governor Ivan Iskrov, who refuses to see the abuses? No, it will be paid by the taxpayers. Therefore, we alerted the prosecution and the European institutions. We must fight the evil by naming it, but also by preventing it from spreading. The evil for free media and the public “is the silence” as one fellow blogger says. And fear is no excuse for it!